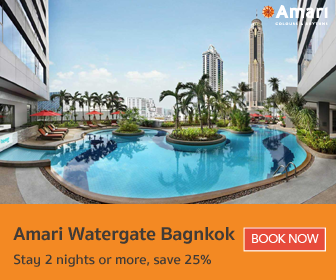 Housing 569 rooms in five different room types, the Amari Watergate Bangkok hotel offers a variety for travellers to choose from. It may be difficult to decide which room is the best one for you. 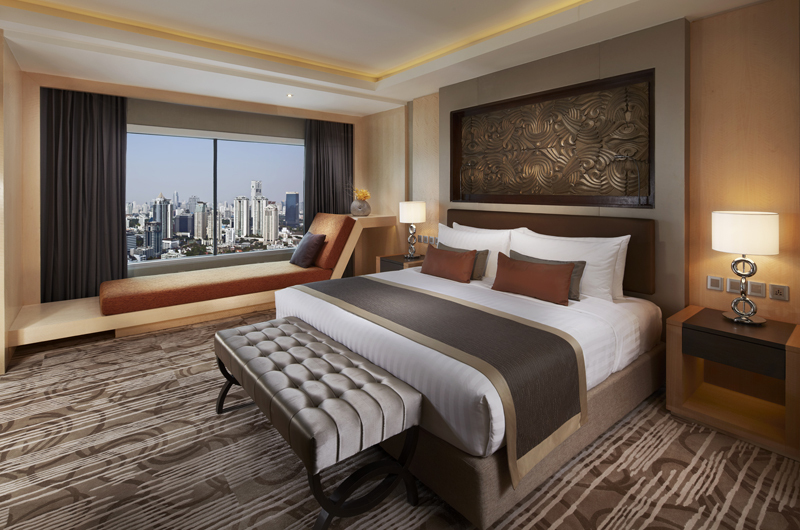 In this guide to choosing your room at Amari Watergate Bangkok, we will highlight the outstanding features of each room type and who they are most suitable for. The most basic room type, the Deluxe Room is ideal for short stay travellers who are essentially looking for a nice and simple place to stay in the heart of the city. The Deluxe Room is popular among guests who are ready to go shopping in Pratunam over the weekend and don’t need a lavish suite. To learn more about the Deluxe Room, click here. Curious guests have wondered about the difference between the Deluxe and Grand Deluxe Rooms. 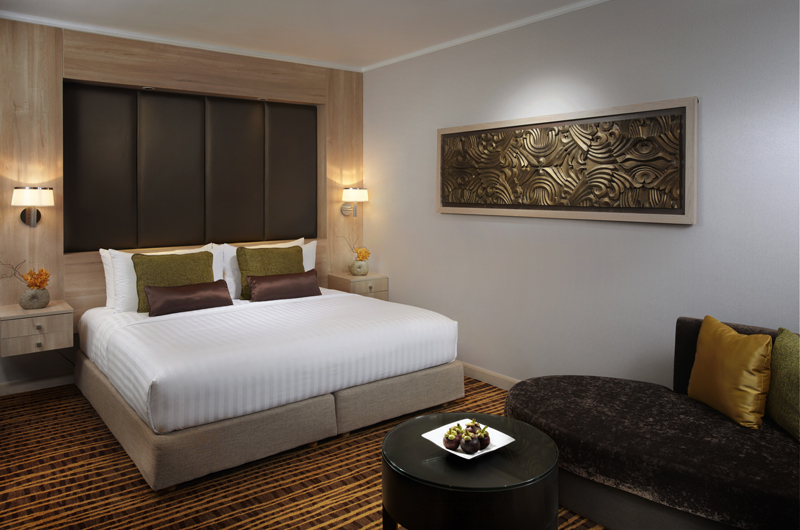 Firstly, the Grand Deluxe room has been newly renovated with a more modern design. Secondly, you’ll find that they are located on the higher floors of the hotel, offering nicer views. 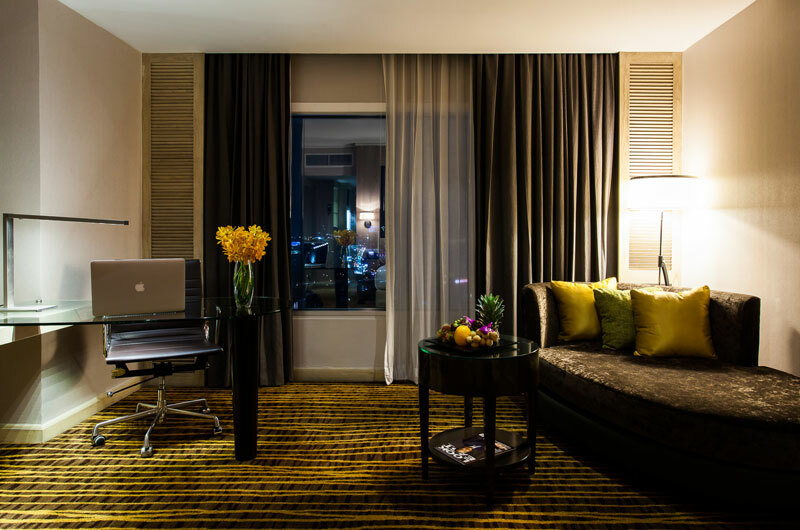 To learn more about the Grand Deluxe Room, click here. Located on the Executive Level with luxe interiors and offering exclusive access to the Executive Lounge, the Executive Room is worth spending a little extra on if you seek relaxation and pampering. The Executive Lounge serves a more private and exclusive breakfast buffet in the mornings and Happy Hour in the evenings from 5 pm to 7 pm, where you can enjoy a free flow of snacks, wine and other refreshing drinks! To learn more about the Executive Room, click here. 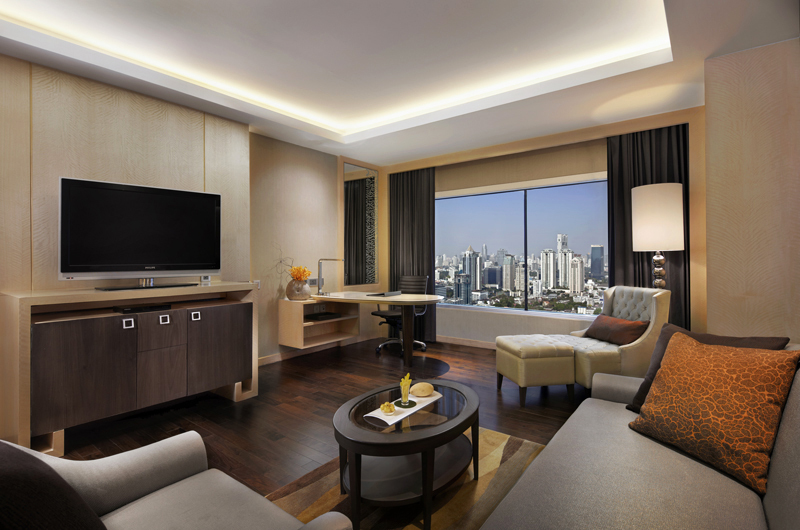 Taking comfort to the next level, the Corner Suite is a favourite among many at Amari Watergate Bangkok. This room type is ideal for families and groups for its layout’s homely atmosphere, as well as the large sofa by the window of the bedroom that can easily substitute for a bed (you wouldn’t need to spend more per night for an extra bed if you’re travelling in a group of three). Like the Executive Room, staying in the Corner Suite also grants you access to the Executive Lounge at no additional cost. To learn more about the Corner Suite, click here. The most lavish room type, our Executive Suite is the ideal choice for honeymoon couples. There is something magical and movie-like about its design, from the sliding doors to the luxurious bath and the warm, cozy atmosphere of the mahogany hues. The breathtaking view and free flow of drinks and snacks at the Executive Lounge during Happy Hour only adds to a dreamy getaway in the Executive Suite. The room is also great for business executives and leisure travellers looking for a luxurious escape. To learn more about the Executive Suite, click here. So which room type do you feel is the most suitable for your needs?